Installation of louvered pine shutters add depth, dimension, color, and function to your home. All ShutterLand exterior shutters are built with the same professional craftsmanship and attention to detail. 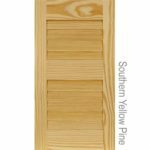 However, Southern Yellow Pine is an entry-level wood deficient in the weather resistant properties of our premium wood louvered shutters, resulting in a predictably shorter life expectancy. 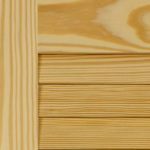 Louvered Pine shutters are 1″ thick using 1-3/4″ fixed louvers. Exterior economy wood shutters can be installed to be functional (swing open and closed), but most often are stationary. 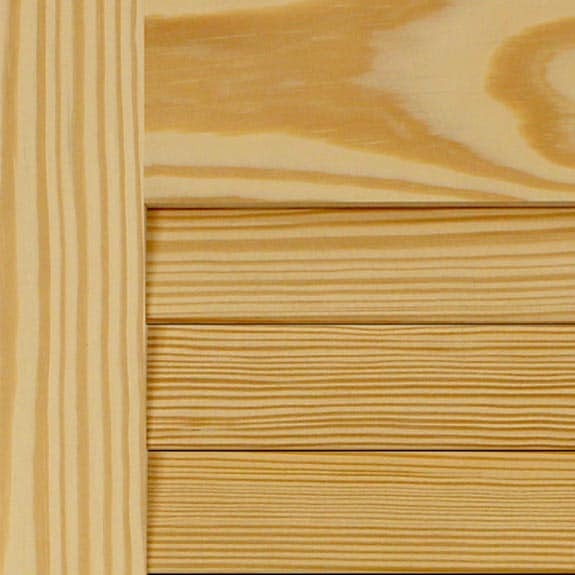 Non-functional exterior louvered pine shutters require less precise measurements than those that operate. Measure each window width from the top edge of the window trim to the bottom edge of the window trim. If there is a sill at the bottom of the window, measure to the top of the sill. Install the shutters about 1/4 inch above the sill. 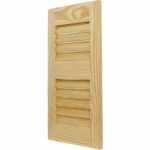 Exterior louvered pine shutters are sold in 1/4 inch increments to best fit the window. A divider rail is optional on economy pine louvered shutters less than 70 inches in height. It can be located at a standard or custom location. To specify a custom location, provide the measurement from the bottom of the shutter to the center of the divider. See measuring instructions for functional outdoor shutters in greater detail. 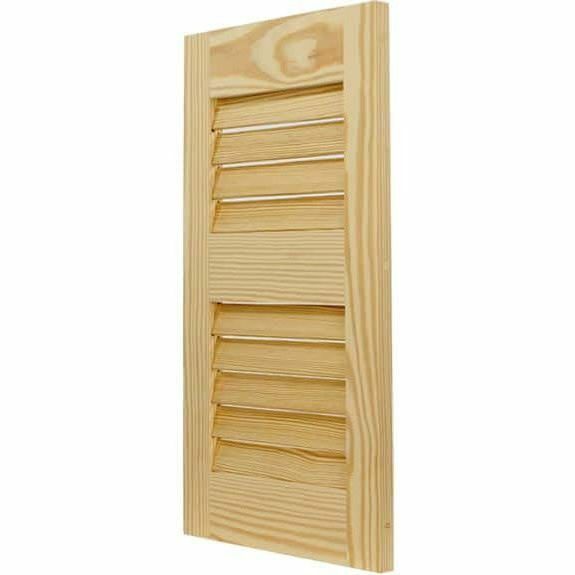 ShutterLand economy louvered pine shutters require approximately 4 weeks to manufacture. Production times may be shorter or longer depending on the number of orders in house, holidays, size of order, finishing, or a number of other considerations. We do not guarantee production or shipping times. Production time of unfinished exterior shutters is slightly shorter than primed or painted shutters. 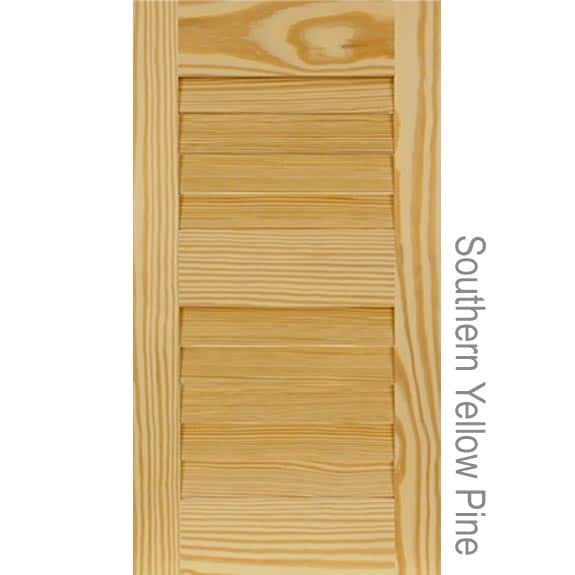 We ship all exterior pine shutters from our manufacturing facility in Alabama.